2017 has probably been one of the busiest years in history for AdWords. Not only was the new User Interface released to all advertisers, but it came with a global push towards automation under all sides of campaign management, both from the targeting point of view or ad creatives creation and bid management. This post is a recap of the most important things you should keep an eye on and/or consider testing in 2018 if you don’t want to to be forced to change your tactic ( due to declining performance of your campaigns). Let’s start with the global innovations affecting all networks. First of all, the 20% cap daily spend removal (now the limit is set at 100%) can be a little tricky, especially with new campaigns. The system is now set to use up to the double of your budget if previous days under-spent, but probably the algorithm still needs some adjustments because some advertisers reported over-spend problems on freshly created ones. It is something they are surely going to fix, but please double check anyways. A direct step towards automation was taken in June when Google introduced “Maximize conversion bid strategy”, which automatically sets CPC to get the best results in terms of goals achieved. That’s great in campaigns with a consistent history of conversions (at least 2 or 3 daily). Better to try it in a draft/experiment before deploying it if you do not want to put at risk what is already working well. In October they made Data Driven Attribution modeling to all advertisers available globally. Simply check if there are relevant differences within the different models and choose the one that better fits to your customers’ behavior (General settings menu > Measurement > Search attribution > Models of attribution). The more straight the purchase path is, the less variations you will find among the different models. In November AdWords rolled out the possibility to test at scale different “assets” in the same Ad variant (http://www.clixmarketing.com/blog/2017/11/28/ad-variations-in-adwords-a-new-tool-for-ad-testing/). It undoubtedly is something to test in the next months. 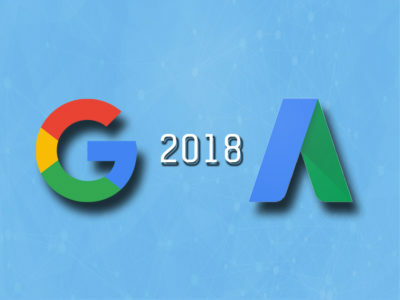 In the meanwhile Google is working on generating new ads automatically, as demonstrated by a beta released in August (http://www.thesempost.com/adwords-beta-feature-suggests-new-ads-auto-enables/). Back in September they released also AMP (Accelerated Mobile Page) landing page support (https://adwords.googleblog.com/2017/09/speed-up-your-search-text-ads-with-amp.html). This is something yoy should definitely give a try to if your target users are mainly on mobile devices. Last but not least, in November and December came “Enhanced Customer Match”, now allowing remarketing list enrollment by users’ telephone numbers and addresses (https://www.wordstream.com/blog/ws/2017/11/28/customer-match-phone-number-address), ”Life events targeting”, with whom we could now target freshly graduated, moved or married people (https://www.wordstream.com/blog/ws/2017/11/29/adwords-life-events-targeting) and the “Custom Intent Audiences” (https://support.google.com/adwords/answer/2497941), which are the equivalent of custom affinities, but for In-Market audiences (more purchase oriented, at least in Google’s eyes). In February Google Adwords added “IF” operator to dynamically change text ads for different audiences or devices (https://support.google.com/adwords/answer/7207341). If you didn’t use it yet, you should test it ASAP. It is really a powerful solution to simplify your campaign structure addressing at the same time the right message to the right user (especially for mobile surfing lovers). In September ad rotation options were simplified to only 2 (optimized or non-optimized) https://www.adworldexperience.it/en/new-simplified-rotation-options-for-adwords-ads-starting-from-925/. Do not use the non-optimize option unless you perfectly know what you are doing and you have an automated third party optimization tool (or plenty of time to check & optimize your campaign performance). In November they rolled out Promotion Extensions (https://adwords.googleblog.com/2017/11/new-adwords-innovations.html). This is simply something you cannot afford any longer not to use if you have an offer running in your promotions (and if you haven’t, create it). Regarding Shopping Campaigns, if you are not using yet remarketing & similar audiences, blame is on you. It is a no-brainer and effortless move to test how your campaigns react to over exposing your products to returning customers. Not testing it means loosing opportunities. In July they rolled out Showcase Ads in Shopping Campaigns (https://support.google.com/adwords/answer/7325107), not yet available in all countries, but potentially a rule breaker in many sectors. In September they made available Shop Visits Conversions to all advertisers with registered My Business listings “gathering thousands of ad clicks and many store visits” (https://support.google.com/adwords/answer/6100636). Google claims an astonishing 99% data accuracy and I am sure the future of retailers is here and in Affiliate Local extensions (launched in November 2016). Regarding Video & Display Campaigns Besides the totally automated Smart Display Campaigns (https://support.google.com/adwords/answer/7020281), which in Q1 2018 should be available at group level, in November they released Remarketing in Gmail Sponsored Promotion (https://www.wordstream.com/blog/ws/2017/11/21/new-adwords-features) while, back in June, they had announced the sunset of domain and specific content targeting options based on free users messages in Gmail (https://blog.google/products/gmail/g-suite-gains-traction-in-the-enterprise-g-suites-gmail-and-consumer-gmail-to-more-closely-align/). Finally, for App Campaigns, in November Google rolled out the new Universal App Campaigns, replacing the former platform specific campaigns and completely automated by machine learning (https://adwords.googleblog.com/2017/11/apps-best-practices.html). I personally think that overly rigid optimization techniques, like for instance Alpha-Beta campaigns (separate groups with the same keywords in different match types) or SKAG (Single Keyword Ad Groups), which require strong manual structuring efforts or third parties optimization tools are going to be rapidly obsolete. It is evident that Google is heading towards a complete automation. In this scenario PPC professionals will soon be asked to move from creating and structuring campaigns to elaborating strategies and optimizing conversions. That’s why in the last 2 editions of ADworld Experience (the largest PPC-cases-only event in the world I created in 2012) the focus has been already shifting on these activities and will move even further on this way in the next edition on April 2018 (give a look to the program, if you do not believe me). What did you test yet? And obtaining what results? Share your findings in comments below.